This photo was taken on a cold wet April morning. This project spanned five properties and was made to look like a naturally occurring limestone escarpment. Every homeowner had their own unique addition to their wall section. 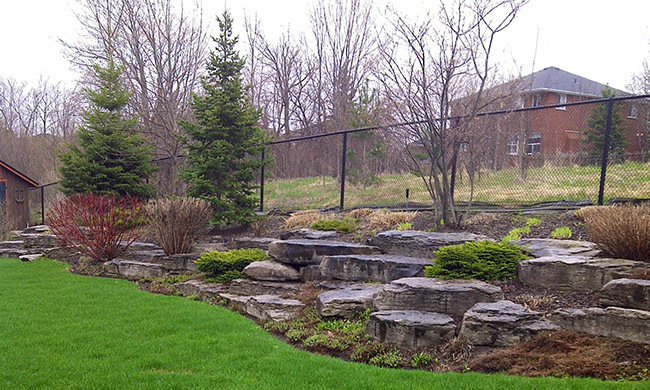 Some added water features, some added patio areas adjacent to the rock garden.